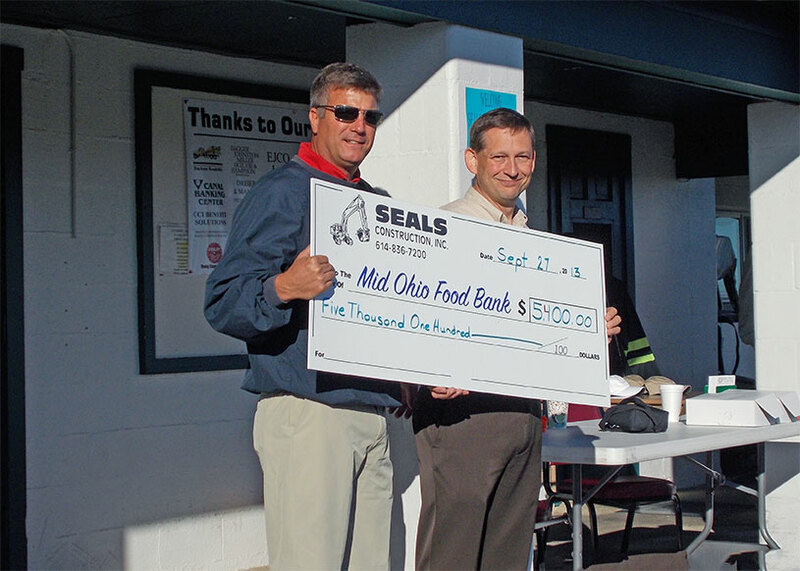 Andy Seals, owner of SEALS Construction Inc., presents the proceeds of their annual golf outing to Mark Mollenkopf, Strategic Solutions Developer at Mid-Ohio Foodbank. The outing took place September 27th at Valley View Golf Club in Lancaster and raised $5,500 to feed families in need. Copyright © 2017 Seals Construction Inc.